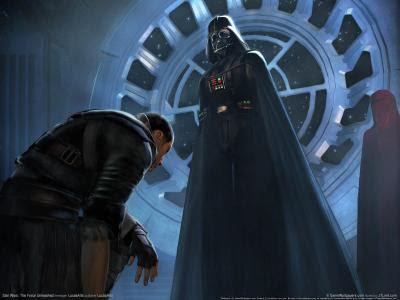 Star Wars: The Force Unleashed looks like it will be a good game. An amazing game even. It looks like EB Games Canada agrees, as they have a Gaming Guarantee promotion on their website right now that where they're banking you'll like the game so much, that they are willing to give you full trade-in credit within one week of purchase. As usual, this offer is only given to people who pre-order their copy. Of course this isn't the first time EB Games has offered such a bizarre promotional offer. They did the same thing with Haze earlier this year. But let's be honest here, Haze was average at best. Star Wars: The Force Unleashed looks much, much better. I'm not sure if I'd want to return the game within 7 days from purchase. Oh the pressure!